A forthcoming British Museum exhibition on Assyria will draw attention to the recent destruction of antiquities in Iraq. The show, which opens in November, is to focus on King Ashurbanipal, whose empire, centred on the city of Nineveh, was then the largest ever known. The British Museum, which holds the world’s finest collection of Assyrian antiquities, will be presenting 120 of its objects, along with 80 international loans. Loans are coming from museums in Paris, Berlin, St. Petersburg, Yerevan (Armenia), Vatican City and Nicosia. Although New York’s Metropolitan Museum of Art has an important collection (and held an Assyrian exhibition in 2014-15), some of the works the British Museum might have requested for the exhibition do not have sufficiently firm provenances to satisfy its strict guidelines on borrowing. It has not yet been announced but discussions are under way with officials in Tehran about borrowing from Iran. This follows a visit by Hartwig Fischer, the British Museum director, late last year. Iranian loans are likely, but not yet confirmed. Several years ago it was hoped that the British Museum might borrow from Iraq, but ultimately this was not pursued. Since the destruction of museums and sites by Islamic State (IS), Iraqi cultural officials have other urgent priorities and it might appear insensitive for surviving antiquities to be sent outside the country. The exhibition will tell the story of Ashurbanipal’s rise to power, which is recorded in the library of cuneiform tablets that survived the sack of Nineveh in 612BC. Ashurbanipal had become king in 668BC and built up an empire that stretched from the Nile Delta to the Persian Gulf. What remains a mystery is how he died, in around 631BC. Gareth Brereton, the curator, speculates that it could have been murder. The show ends by highlighting the challenges faced in protecting Iraq’s cultural heritage, particularly after the destruction wrought by IS at Nineveh (on the outskirts of Mosul) and Nimrud in 2015. The British Museum has set up the Iraq Emergency Heritage Management Training Scheme, with £3m of UK government funding, to assist their colleagues in the Middle East. The most recent group of trainees, six women from Mosul, had been traumatised when the museum they worked for was brutally attacked by IS iconoclasts. After a training session in London, earlier this month they returned to Mosul, to continue their work. Speaking at the exhibition launch, the Iraqi ambassador in London, Saleh Hussein Ali Al-Tamimi, welcomed the coming show and the training programme, speaking out strongly against IS’s “destruction”. Clarification, 21 June 2018: This article was updated to clarify that it is not the Metropolitan Museum's Assyrian collection as a whole that would not pass the British Museum's borrowing guidelines, but those works that might have been requested for the show. 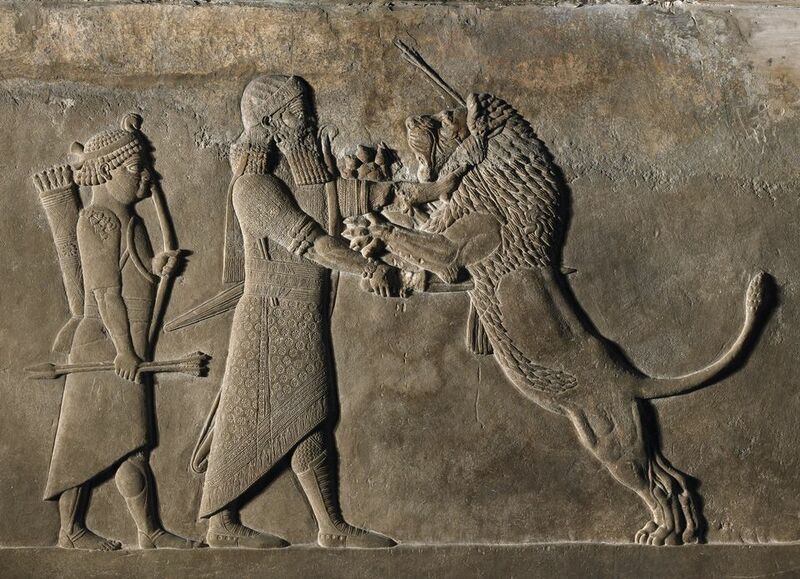 The Met said in a statement that "all provenance information for The Met’s Assyrian collection is publicly available, and we have received no request for loans for this upcoming exhibition."